Mark, can you please share with us your background before yoga? The long story or the short story? I was born and raised in Sydney, Australia, in a loving middle-class family; in the suburbs, where my parents were living the Australian dream of three kids and a quarter acre block. I was a gifted child in many ways, not extraordinarily, but usually I was within the top range of most things that I tried - or at least I had a very competitive nature and always wanted to win. Yet, at the same time I wasted a lot of my talent on a misspent youth. Of course, it wasn’t a waste because I wouldn’t change anything that I’ve done. Every twist and every turn in my life was another lesson that I learned, and has made me who I am today. The way I see it, is that I remember from a very early age, possibly as young as three or four, pondering the big questions of life: Who am I? Where did I come from? Where am I going to? Why am I here? With those questions came the absolute realisation of my own mortality. I somehow sensed that the universe had been around for millions of years without me and would continue after my death without me. That caused intense fear within me, and I would ask my mother about it and she shares the same fear. My father and brother on the other hand don’t think about it. The dawning of that realisation, and the accompanying fear, has been with me throughout my life. It comes over me from time to time. Less now than before, but whenever it did it would affect me so deeply that the only way to deal with it, that I could find, was to think that by the time I’m older I will have come to terms with it. It also made me realise that there is no time to waste. It has been one of the most motivating forces in my life to reach for my full potential, to move beyond doubt, and most importantly to let go of any ill feelings that I may be carrying towards friends and loved ones. So, as a kid, with this constant awareness of the impermanence of life, I really could never accept that all there was to living was to follow the rules of society and the road map that was expected; to finish school, go to university, buy a car, buy an apartment, get a dog, get married, buy a house, have kids, work to the bone, live for the weekends and three weeks holiday a year, save for retirement, only to get to the end of it all and realise that you can’t take any of it with you. This sparked a rebelliousness within me and from Year 2/Grade 2, I started getting into trouble with teachers and authorities. When I got to the age of twelve, I started smoking cigarettes, and then by thirteen it was alcohol, then dope, then by fourteen, LSD and ecstasy, etcetera. In the early years, I really felt like I was experimenting with consciousness; going into parts of the mind that were not accessible in the normal state. However as the years went on I realised that I was not using drugs for expanding my consciousness anymore, but as a way to have more fun, or to feel more confident at parties and clubs. At the same time the mix of a teenagers hormonal changes, with drugs and alcohol, discovering girls, and getting into trouble with authorities made for a powerful and dangerous cocktail - one that many of my friends did not survive. I must add that I was not some kind of a drop out. I was still playing really high level rugby, running, mountain biking, doing karate, going to the gym, swimming and doing pretty well at school. But I could have done a lot better if it wasn’t for all the rest. But that was my destiny, and I’m glad I have lived so fully. So anyway, there was a lot of stuff; crime - which I’m not going to go into, but I had some close calls and could have easily gone to jail at least twice. A number of my friends committed suicide by the time I was eighteen. It was crazy - these middle class kids, with every opportunity that money could buy in terms of education; but they were empty, they were missing something. They were missing love. Love from their fathers. Love from their teachers and friends. Whenever I was asked as a kid what I wanted to be when I grow up, I never had an answer. I just never wanted to be a train driver or a fireman, or a pilot, a doctor or a lawyer. All I wanted to do was travel. I wanted to explore and have adventures. But I went to university and did a Bachelor of Social Science - which meant nothing at the time, but it was a study of Western philosophy which has come in handy as I now study Eastern philosophy. I was still playing competitive rugby, I had part time work at a business magazine as a cadet journalist and at my dad’s office. When I graduated I got a full-time job doing garden maintenance and lawn mowing; and saved up enough cash to get myself to the US, which was my big dream. 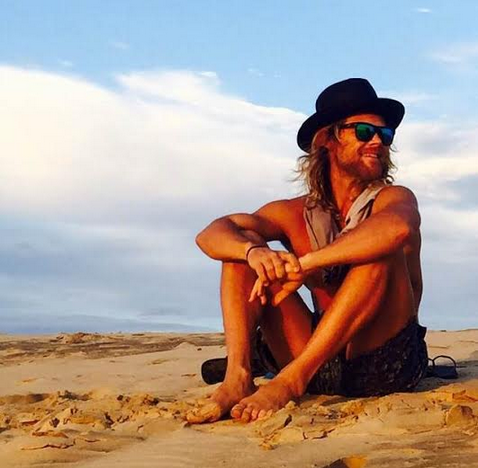 I wanted to leave Australia, leave my past behind, re-invent myself and come back with stories of adventure to tell. That first trip, in 1996, was for fifteen months in the US, Canada, Europe and the Middle-East. I had some odd jobs here and there. It was also the time that I started getting into meditation practice. I had a book by Chogyam Trungpa called the Sacred Path of the Warrior and it went with me everywhere. The Middle-East was an eye opener for me and called to my spirit of adventure and wanderlust. It was also where I learned to scuba dive. So I went back to Australia in 1997, with the idea that I could make a living travelling the world by combining travel writing with scuba diving. I was set to move to Cairns, on Australia’s Great Barrier Reef to start my diving career. Before I did though, my mother took me to a yoga class in Sydney and I got hooked from that very first class. I remember the sensation of feeling like I was floating on air as I walked out of the class. My first teacher, George Chung, knew I was moving to Cairns and told me to find Nicky Knoff and James Bryant who had the Cairns Yoga Academy. They introduced me to both the Iyengar and Ashtanga methods. In Cairns, I fell sick with dengue fever and my immunity dropped to such a low level that I had no energy for any activities. It was then that I discovered the healing power of yoga and that was what really changed everything. Yoga became my life. I put my plans on hold to becoming a diving instructor and decided go on a quest to India to find a guru. Nicky and James told me that I could go to Iyengar but there was a three year waiting list, or I could go to Pattabhi Jois - and as long as I didn’t mind some pain, I would love it. In the meantime, I went back to Sydney to work and save money so they told me about a place called YogaMoves and that’s where I met Eileen Hall and Peter Sanson. I used to work all day carrying bricks and building gardens on a landscaping job, and then would travel for one and a half hours on public transport to practice Mysore in the afternoons. It’s amazing - no one would do that anymore because there is a yoga school on every corner. But back then we had something called the Yellow Pages and under “Y” you would find two pages of yoga schools - now there are whole books. Once I saved my money, I went first to New York and practiced with Eddie Stern, then on to India and travelled for three months in the north. I travelled all over India by train and by bus and I have some crazy stories to tell about that, but that will have to be for another time. My idea was that I would go to Mysore for three months and then travel overland to Nepal, and then on to Thailand and find work in the dive industry. I had an open ticket and was planning to work my way down through Indonesia and finally reach Australia. In those days I loved the idea of being able to travel by sea or land around the world. But what happened was something quite different. I did my three months in Mysore and it was a profound and life changing experience, but the road called me on. I reached Varanasi after days of travelling and essentially had an emotional catharsis and broke down. I decided in that moment to give up all my plans and return immediately to Australia. Which I did. Two weeks later, Eileen Hall agreed to take me on as an apprentice. At first, I was actually Matthew Sweeney’s apprentice, as he was working there at the time. This was at the end of 1999. Mark, what happened during your three months in Mysore? Did you practice with Sri K. Pattabhi Jois? Did you find a practice to help you find the answer the existential questions you’ve had since childhood? When did you next return to Mysore? Yes, I practiced with Pattabhi Jois and Sharath. In those days the procedure was that you sent a letter asking permission to come and practice - but it was a letter that was not replied to; so you had no way of knowing if it had been received or not. I had been travelling in the north for a few months and then arrived in Mysore by train from Mumbai; it was a long journey of nearly two days. I didn’t know anyone in Mysore and there was no community page on Facebook to give you tips on what to do. All I had was the Yoga Mala book with Guruji’s face on the cover. I went to a rickshaw driver and showed him the book, and asked him to take me to this man, and off we went on a wild goose-chase all over town. We ended up, at one point, near what is now Pascucci - close to Temple Road. In the end I arrived at his house in Laxmipuram. It was the afternoon and I entered to find him sitting with David and Simi Roche. Guruji asked me if I had sent a letter and who my teacher was. I replied yes and that my teacher was Eileen Hall. He seemed happy with this and he told me to come the next day for practice. When I saw the shala that morning, and what was going on in that room; the sound of the breathing, the profuse sweating and bodies moving in ways that I’d never seen before, I thought “this must be what the ancient yogis were practicing in the forests and the caves”. It was incredibly inspiring to see the other practitioners; I remember in particular John Campbell and Noah Williams. I remember thinking “Wow! I want to be able to do that!” At that time there was a lot of the New York city crowd, especially the Jivamukti teachers; I lived with a few of them. It was really such a great experience for me. It was Guruji’s 84th birthday and David Life came for the celebration. They were all so involved in the whole yoga tradition and it opened my eyes up to a new world. They were the ones that introduced me to my first kirtan. I did not have the opportunity to really connect with Guruji in such a way as to answer my existential questions. There were conferences, and they were small - inside the front room of his house, but most of the questions were more about technical matters around the practice, vinyasa, bandhas, yamas and niyamas, diet, pranayama and so on. Also, he spoke in a pigeon English which was not that easy to comprehend. But I had a practice and that practice was part of a tradition that claimed to have the answers to all those questions! It was later though, when I met Ramesh Balsekar in Mumbai that my existential questions were answered! I returned to Mysore the next year - in November 2000. I was very fortunate because Guruji and Sharath came to Sydney that year and immediately returned to Mysore. For some reason nobody seemed to know that they would be teaching and I followed them back and on my first day of practice arrived to a shala with only six people. That was one of the best trips for me. Guruji, having remembered me from Sydney, took me under his wing and I learned the full intermediate series with him over the next two trips - that year and then in 2002, which was the last season at the old shala. With now eighteen years of practice, how has your practice evolved and what insights have you collected along the way? Has it enabled you to take the journey to seek the answers you have been looking for? My practice has become more and more delightful over the years. In the beginning there was the early romantic stage, just like in a relationship, when everything was so new and fresh and there seemed to be a mysterious world awaiting me. As I mentioned earlier, I will always I remember getting up from savasana, after my first ever class, and walking out onto the street and having the sensation that I was floating. I was hooked from that moment on. I’m still completely hooked but there is a different quality to it now. I’ve been through the different stages of complete naiveté and innocence, to the stages of wanting, clinging, pushing, struggling, and battling with the practice. It’s a razor’s edge to walk along this yoga path. Desire has to be there to give you the motivation to do it. But it’s easy to over do it and come at with too much ego and then you end up getting injured and also you start to identify with the vehicle - the practice/the body, instead of remembering that the vehicle is there only to bring you to your destination, which, in the end, is simply to be happy. I went through intense periods of trying to become enlightened, only to realise that what I was actually trying to do was protect myself from pain, in particular the emotional pain of relationships that didn’t work out. I thought that if I could do all the series, and all the pranayama and meditate for hours, then I could never be hurt again. I thought that if I could find the one theory that explained it all that I could overcome the fear of death. My meetings with Ramesh Balsekar in Mumbai were very powerful and gave me a framework for how to relate to the mysteries of this life. Also one of my mentors in Australia, Clive Sheridan, helped me to find the answers I was looking for. And in 2004 I started working with a book called “The Artist’s Way”, by Julia Cameron, and this helped me to find the way to discover my true purpose in this life. At some point, in the last few years that striving for enlightenment began to drop away. I think I have become comfortable with not knowing. The practice is about our relationship to that mystery, and the funny thing is, I’m happier and more at peace now than I’ve ever been. Also, I started to make some psychological changes to my approach to practice in my late 30’s. My goal is to thrive in my life for as long as it is my destiny to do so. And what I saw was that a lot of practitioners that practiced with too much enthusiasm - over-zealously, ended up burning out in their early 40’s. So I’m just pacing myself. In terms of my physical practice, at 40, I don’t feel like I’m anywhere near my peak yet. But I’m taking my time. I don’t want to peak too early. It’s a slippery slope - once you peak the only place to go is down! At the same time I’m aware that at some point it will all start to fall away. That is inevitable and hopefully all the practice will have prepared me to accept that gracefully. What is your practice now, Mark? Would you please describe your practice week. 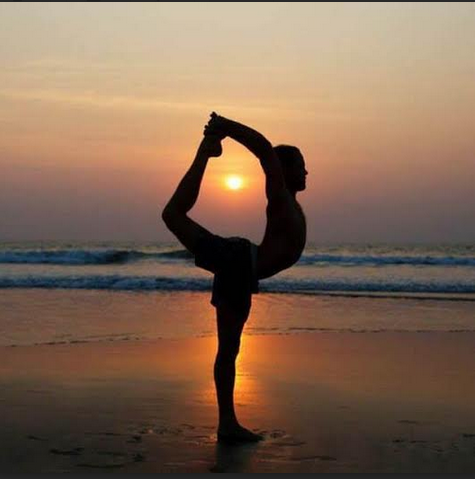 Why do you think students need to continue learning additional asanas? What is the purpose of advanced postures? Today my practice was Primary and tomorrow it will be too. I fit my practice into whatever is happening in my life. I travel so much and when I’m teaching workshops it can be up to seven hours a day. During my last trip to Mysore in January and February of this year I was doing all of Advanced A and the first twenty postures of Advanced B. It was really intense. But it’s not something that I can, or even want to maintain while I’m teaching and traveling, and often I’m also surfing everyday, and so it’s just too much for me to fit it all in. I’ve been experimenting over the last few years with the best way to make my practice really work for my life. Nowadays, my practice is something like this; I sit for about 10-15 minutes (I guess you’d call that a mindfulness, or a meditation practice), then I do 5-10 minutes of pranayama (simple rhythms like nadi shodhana or samavritti), then I’ll do a few of what I call the “everyday essentials” - hip and shoulder openers. Then I’ll go through the series that I’m working on for the day. If I have time then I do the whole series - one day 2nd, then 3rd, then 4th and back to Primary. But, often I don’t have enough time, so what I like to do now is divide each series. So I might do half Primary one day and the second half the next. Then half Intermediate the next day and the next half the day after and so on. Sometimes I’ll even divide it into thirds. So then it can take me two weeks to rotate my way through my entire four series of practice. This really works well for me. But this is fluid...not at all a hard and fast rule - and I wouldn’t recommend it for everyone because every individual has to find their own way. When I was younger I used to practice so intensely, but then I’d be tired and sore for the rest of the day. I’ve reached a point now where I just don’t want to have sore muscles all day long, everyday. Also I need the energy to be alert and vibrant for my teaching and for the rest of my activities, and so, I do less now - which, as they say - is more. Because rest and recovery time is super important - but it’s often forgotten when we have too much enthusiasm - or we follow the “rules” too rigidly. I also find it useful to have “projects” in mind to keep inspired. 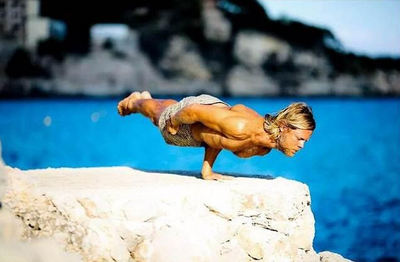 Whether it be building more strength in the vinyasas, or working on backbends, or arm balances, or whatever. It’s really useful to have these goals to keep motivated. In terms of “projects” there’s also the ongoing practice of dealing with injuries. For example, last year in August I tore a rotator cuff while surfing, so the next six months was about healing that. Also, for me anyway, five breaths is just not long enough to really explore a posture. I ask “am I only ever going to do these postures for five breaths at a time for the rest of my life?”. Sometimes I’ll explore postures for longer periods which feels very therapeutic. I observed over the years a tendency, in myself and others, to get to the end of the practice, which then leads us to always being in the future and not enjoying the process. It becomes a burden and a mental stress. Another key lesson that I’ve learnt is that I don’t need to go to the end point of my joint range of motion everyday. For example, let’s say catching my ankles in backbends, with assistance is my end range, it is not necessary and not healthy to do that everyday. As for why students need to learn more postures and the purpose of advanced postures, then we could take Guruji’s - Pattabhi Jois’, words that Primary Series is Yoga Chikitsa - Yoga Therapy, Intermediate is Nadi Shodhana - purification of the subtle body, and the Advanced Series are Sthira Bhaga - the steady chapter! But he also used to say that the Advanced Series was just for demonstration. There’s definitely a body mind connection between strength and flexibility. Also, as one of my teachers likes to say, “we put ourselves in artificially induced stressful situations”, and learn how to stay calm and relaxed; so that when we face stressful situations in our lives we have trained ourselves to be calm and relaxed. In the end though, whether you are doing a simple backbend or an advanced backbend, the process of observing whatever sensations are arising is the same. But, Pattabhi Jois was pretty strict on teaching pranayama only to advanced students; so there was definitely something there that he believed in, about the purification of the nervous system. I must say that in my own experience, for the first ten years I used to sweat a lot during practice, and my clothes would smell - from the toxins coming out I guess. But now that doesn’t happen. I’ll still sweat in hot and humid climates but it’s a different kind of sweat now. Also, the texts all mention that if you start pranayama too soon, then it’s like trying to tame a wild tiger - it might kill you. So this idea of building a strong and steady nervous system is there. But, that being said, I doubt whether it’s necessary to do the really advanced asanas that contortionists and circus performers can also do. I think the nervous system can become steady just with a good Primary Series practice over many years. The "yoga world" in the West is a far cry from guru parampara in India-direct transmission from teacher to student. We see buff and lean bodies advertised in the West for yoga classes and apparel; the notion that the body or asana is the end and be all. How can students best guard against this, or an inflating ego arising from a progressing asana practice? It’s been like this for a while now. I remember when I started and the Yoga Journal were doing all those Rodney Yee videos, ‘Yoga for Abs’ and so on. It’s definitely an interesting topic, on the one hand yoga has become a big business, totally commercial and a long way from the days when students had to prove themselves to the teacher before the teacher would accept them. But on the other hand, all around the world; wherever I go at least, what I find are really beautiful, loving, authentic, genuine practitioners. In Mysore now the amount of people going there is growing so rapidly; showing that it’s more popular than ever before. I would say that this has a lot to do with the amount of social media being used around the world. The more people doing yoga the better; is how I feel. The world needs it. Even if it means that people are coming into from a more superficial starting point. Eventually the real treasures of yoga will be revealed to those who have the inclination to go deeper. Also, the maturity of practitioners has really evolved over the last ten years. Today’s practitioners are getting the gems from all the practice and experimentation that the first few generations went through. As for the ego trap, well, age will have a way of levelling out everyone. No one can stay young and beautiful and bendy and strong forever. At some point all that will drop away and the ego will be humbled - hopefully! 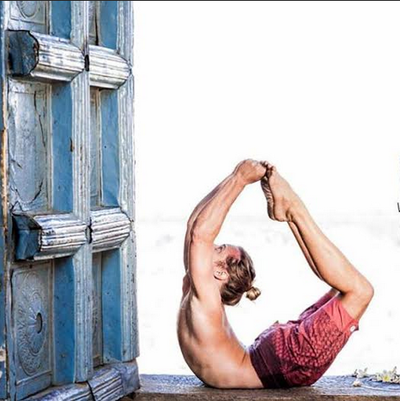 In addition to practicing and teaching yoga, you are an avid surfer and world explorer. You are living your passions. What advice would you offer to readers to inspire them to follow their passions? You have to make your vocation your vacation. If you can do that then you are on the road to living a fulfilled life. There is always destiny involved in all of this of course, but a big part of what has happened to me in my life was, as I mentioned earlier, working with “The Artist’s Way”, by Julia Cameron. Through that twelve weeks course in rediscovering my creative self, I found out what my passions are: music (guitar), surfing, yoga, teaching, travel, and languages. A deep knowing came to me that this is what the Creative force of the Universe wants to create through me. So I have been following my heart ever since. Despite all the people telling me that I have to settle down; and that I can’t keep travelling forever; and that I have to have children before I get too old; and that I have to think about my financial security in the future; and asking me “Don’t you miss having a home?”, “Don’t you get tired of always moving?”. It’s difficult to explain in words, but basically it’s this: I feel like the Universal Spirit is moving me and I’m gaining strength and energy by living this way. It’s what I was born to do. I’ve also stopped listening to people who are not getting the results that I want. So my advice is this: find out what it is that you are truly here to create. What does the Creative energy of the Universe want to create through you? Then start creating. When you sing and play the guitar in kirtans, is it a way to express yourself creatively and your devotion? Yes, absolutely and lets me channel my inner rockstar! Haha...I am a Leo after all. Actually I’m an accidental kirtanist. I just kind of fell into it because I played guitar and moved in yoga circles, and I started to play along with friends and then one day people started asking me to lead; and it just evolved from there. Music is one of the best ways I know to bring people together - it unites people regardless of race, gender, religion, etc. Not everyone likes kirtan though, either they find it too new-agey or they don’t like the religious aspect of it. It’s pretty funny when I think about it: an ex-Catholic boy rebel, singing Hindu devotional songs. One of my Hare Krishna friends once said to me that when you sing kirtan you have to sing as if you are a child calling out to your mother. That longing and emotion has to be there. I enjoy tapping into that. I have also noticed that as I have removed the veils that clouded my true authentic nature, that I’ve become better at singing. I think everyone has that potential, but our true voice is covered up by fear and shyness. Please tell us about the time when you were recognized as a Certified teacher. KPJAYI designates forty-seven teachers as Certified worldwide on their website. It was at the end of 2010 and I was in Sharath’s office and I asked him! Sometimes you’ve got to get what’s yours!! Haha...Actually my teacher in Sydney, Eileen Hall, had been telling me that I should try to get Certified for a few years already. Then in 2010, I met all the criteria; I had been going every year to Mysore for eleven years and I had finished Advanced A that season, so I asked him. He didn’t hesitate in saying, ‘‘Yes, it’s time”. What does the future hold for you, Mark? Where do you see yourself in ten or twenty years? I really don’t know. It’s all unknown and uncertain although I’m feeling pretty confident that the future is bright. Right now I’m in an interesting stage; riding the wave of the momentum that has been building over the last few years. All my dreams have come true in a sense, so I’m enjoying waking up in that dream - because they are not dreams anymore - they are happening. It’s a sweet place to be and I’m not in any rush to look for the next thing. However, it has been on my mind for some time now that I want to go into the next stage of my teaching soon, when the time is right; and start doing one and two month long intensives. I never wanted to become successful by being commercial or running teacher training programmes. I once went to a Ben Harper concert many years ago, and he asked the audience “Who heard me on the radio?” and not many people responded. “Who heard about me through a friend?”, and the crowd went wild. And that’s how I’ve always wanted to be recognised as a teacher - through word of mouth, through people saying good things about my work. So that is why I’ve been doing all of this travelling, not only to experience the world first hand, but to meet people face to face and share with them what I do. The intention though, is that at some point I won’t have to go meet them, but they will come to me. So that is what I’ve been creating - but not in any pre-conceived, manufactured way - it is just flowing organically. But, I feel like the time is coming soon where I will be able to say, “I’ll be teaching a month long intensive in Bali, or Chile, Ecuador, Brazil, Europe, India”, or wherever it’s going to be, and that people will come. That’s my plan for my teaching in the next five to ten years. I want to go deeper into my music - I have dreams of one day learning flamenco guitar in Spain, and study the guitar and other instruments properly. Also I want to get my languages down as well - I’d like to at least speak Spanish, Portuguese and Indonesian. Travel, I imagine, is always going to be a big part of my life. I want to be close to my parents as they enter their 80’s, so probably I will buy a place in Sydney within the next five years so that I can be close to them. Sydney could well be my base. Maybe I’ll end up doing something with my teacher Eileen Hall there. Either there or Byron Bay - I also have this vision of having my own land where I can grow my own vegetables and fruit trees, be surrounded by lush, tropical nature and be close to the ocean. I’ve never had a strong vision of having children, but there’s still time, so it may happen. If that happens I’d like to be finished with this non-stop travelling phase. I also want to continue deepening my understanding of the Yoga Tradition. I have a strong interest in the philosophy and like to incorporate that into my teaching in an informal way. In the future though, I would like to be able to do more formal teaching of the Sutras etc. So my project at the moment is to continue studying with Professor Rao in Mysore whenever I’m there practicing with Sharath. When I first started teaching my dad was worried that yoga was a fad that would go away soon, and I would be left with no financial security for the future. But, every year since then yoga has become more and more popular, and this June 21 there will be the first International Yoga Day; so it seems that Yoga - Modern Yoga - is here to stay for a while longer at least. Even if it does go out of fashion, my own personal practice will be with me till the day I die. I’m sure of it. The form that it will take will no doubt change, but the essence will remain. In an ideal world I would love to see the day when everyone stops fighting over who is practicing and teaching the correct way. It brings to mind the quote: “Don’t seek to follow in the footsteps of the masters. Seek what they sought”. I would love it if we could all recognise that we are all seeking the same thing and that it is that One Source that is doing the seeking! But, it seems that the universe is designed to have these polarities and differences of opinion; so the fighting and feuding will continue as it always has. It also has it’s advantages; challenge helps us to look at ourselves, to evolve and grow.